Exclusively Ours! An Allan Robin Design!! Cadmium, Lead & Nickel Free!! New! 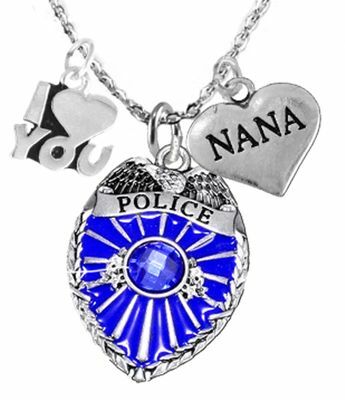 Antiqued, Silver Tone, Cable Chain Adjustable 18 Inch + 2 Inch Extender Necklace Comes With Beautiful Blue Crystal,Police Badge Charm And A Small I Love You "Mom" Polished Silver Tone Heart. A Perfect Gift.